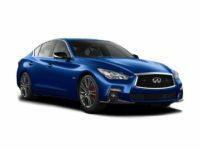 Infiniti is well known for its luxurious, quality automobiles, and is often a first choice for those who want to lease a vehicle rather than buy it outright. 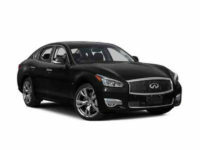 For those who like Infiniti automobiles, Car Leasing Brooklyn is the place for you! 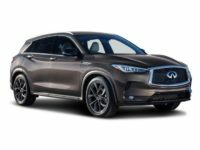 Our industry-leading selection on Infiniti auto leasing is well-known throughout the five boroughs and upstate New York, and we accomplish this through tightly-woven relationships with Infiniti dealers throughout the state! And because our overhead costs are so extremely low, we can pass these cost savings onto you in the form of incredibly low monthly lease rates! 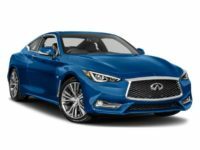 If you’re looking for a Q60 Convertible, a Q50 Hybrid, a Q40 Sedan or a Q30 Hatchback, or indeed any other Infiniti model currently being made, Car Leasing Brooklyn has you covered! And whatever color or combination of factory options you may need, Car Leasing Brooklyn can source your perfect Infiniti lease with ease and alacrity! 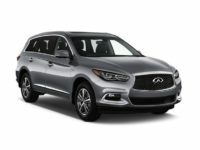 What’s more, with our online Infiniti leasing system, the vehicle you select and lease is delivered directly to your door at absolutely no additional charge! 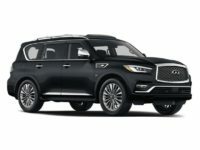 We’re certain that after you give us a try, you’ll join the ranks of our eminently satisfied clients who swear by Car Leasing Brooklyn’s Infiniti leasing deals and consummate convenience in car leasing! 718-307-5639 is the number to call to speak to our staff, or if you’re ready to get started right away, browse over to our Infiniti inventory page and select the Infiniti you’ve always wanted! 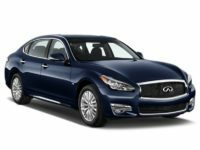 Car Leasing Brooklyn Offers True Infiniti Auto Lease Deals! If you’re an auto leasing veteran, or even a previous dilettante, you probably know what an incredible hassle it can be to lease a car from a “traditional” leasing agency. First of all, the visit to the showroom or car lot. This is generally far out of your way, because the land that agents have to rent in order to build their car lot is cheaper in out-of-the-way areas. Then once you announce your intention to lease a car, you are immediately set upon by a pack of hungry salespeople, eager to pressure you into a vehicle that isn’t necessarily what you want at all, just because it will increase the commissions which are all these spawn of Mammon live for. If indeed you qualify for a lease, you then get the dubious honor of filling out reams of paperwork before your lease is finalized. And then, if you’re lucky, you drive away from the leasing agent in your new auto, feeling rather ill-used at best. But not with Car Leasing Brooklyn! It’s never inconvenient to visit us because there’s no physical premises to visit – our entire stock of cars for Infiniti car lease – SUVs like the QX30, QX50, QX60, QX70 and QX80, sedans and coupes like the Q60 and Q70, and even hybrid vehicles like the Q70 and QX60 – is posted on our website! We employ sales professionals who can help when you need it, but otherwise stay out of your way and will never hassle you! Credit approval and financing negotiation is quick and easy, and once you’ve submitted the address for delivery, we ship your new Infiniti auto lease straight to your door for no additional fee! 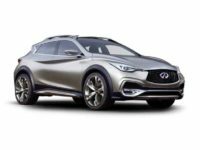 Find out how easy Infiniti auto leasing can be today at Car Leasing Brooklyn!